EMERCOM has come up with safety recommendations for people playing the Pokemon Go game. 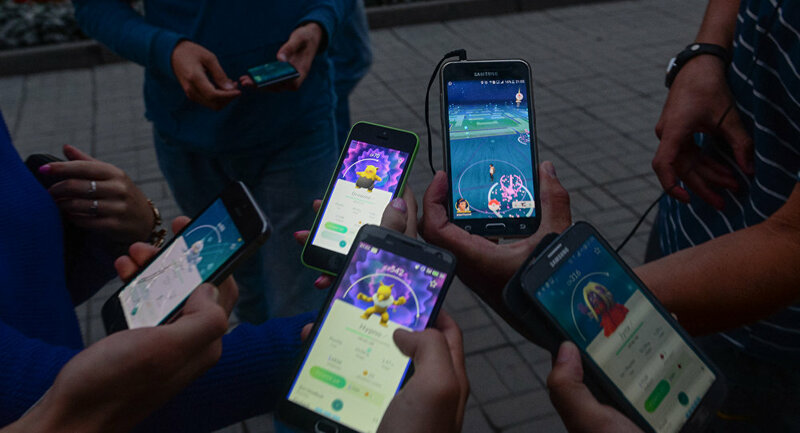 MOSCOW (Sputnik) – The Russian Emergencies Ministry has come up with safety recommendations for people playing the Pokemon Go game, Russian Emergencies Minister Vladimir Puchkov told journalists. "Our specialists of the State Fire Academy of Emercom of Russia have already prepared and distributed methodological recommendations of safety during the catching of Pokemons, have conducted master classes," Puchkov said on Thursday. The minister warned that a safety risk emerges when large numbers of people disregard road signs and traffic lights because they are overly concentrated on the Pokemon Go game. Puchkov also emphasized that "everything is good in moderation" explaining that "when somebody spreads information and thousands of people gather in one place and try to divide one Pokemon between a thousand people it can also lead to a problem." Dutch media reported on Thursday that a bus driver was fired for playing Pokemon Go while driving on a long-distance route, from the Dutch city of Leiden to Alphen aan den Rijn. Pokemon Go is a location-based augmented reality game developed by Niantic for iOS and Android devices. Mobile game app users need to capture Pokemon creatures that appear on the screen of their device as if they were actually located in the same place as the person. The Pokemon creatures can then be trained and involved in battles. Experts have warned that the game, launched earlier in July, can lead to injuries and Russian banks have offered Pokemon Go-related injury insurance. Pokemon Go Craze: Can You Catch Your Next Pocket Monster in Iran?